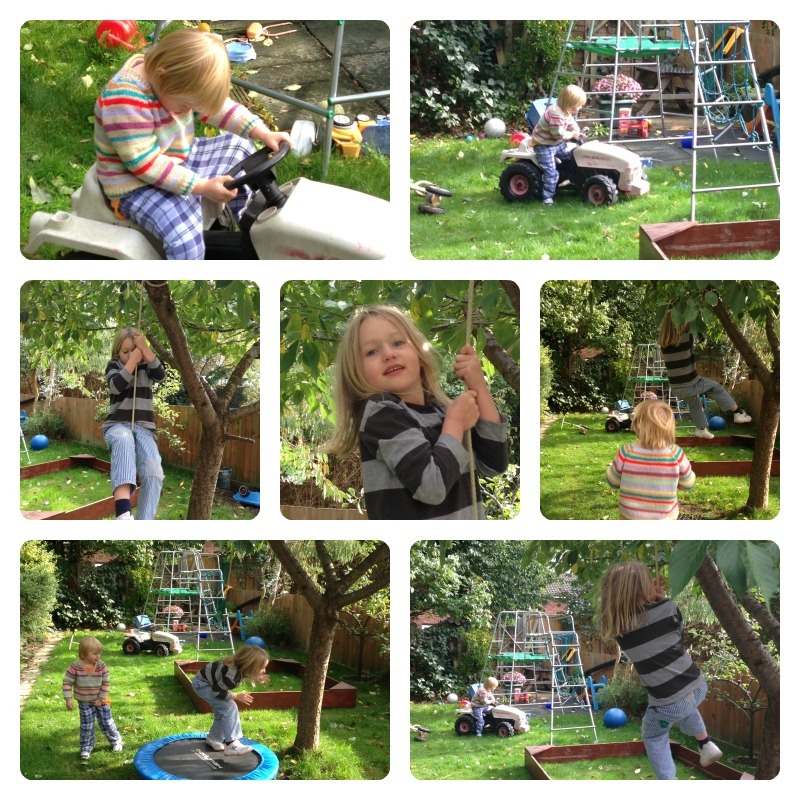 After our morning at Junior Scholars on Saturday, we spent the rest of the day with our cousins in Watford. After lunch, the children played together in the garden for a while, and then we went out to the park. 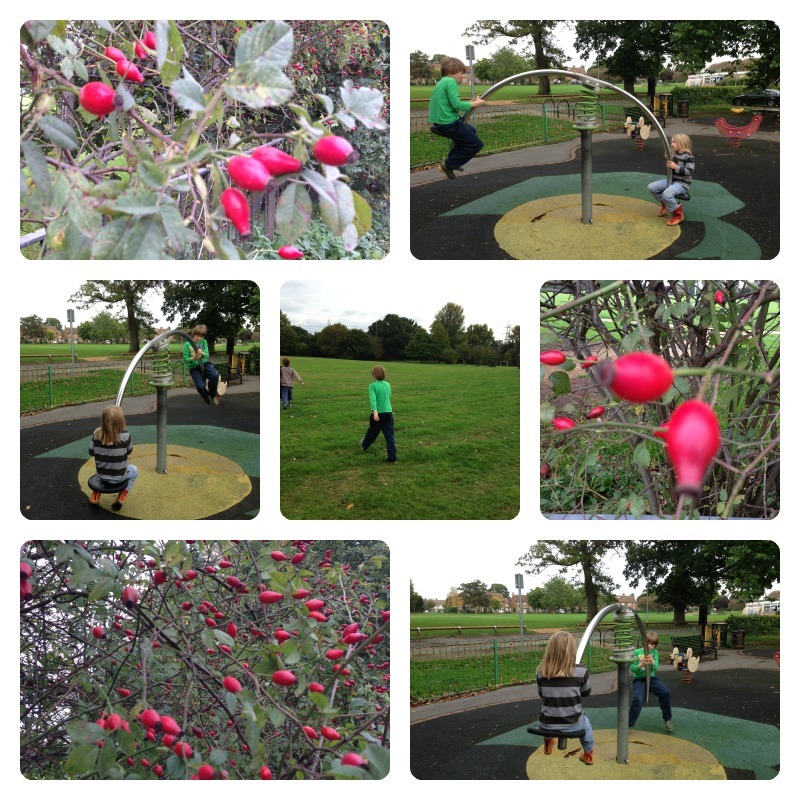 The children played really well together with their three cousins, and it was lovely to watch. On the way back, we indulged in a bit more impromptu foraging! After a quick dash back into town to visit the Lego shop (and Junior Scholars again) we went back to their house for supper (and baths!) and the children played together while the adults chatted until it was time to come home. 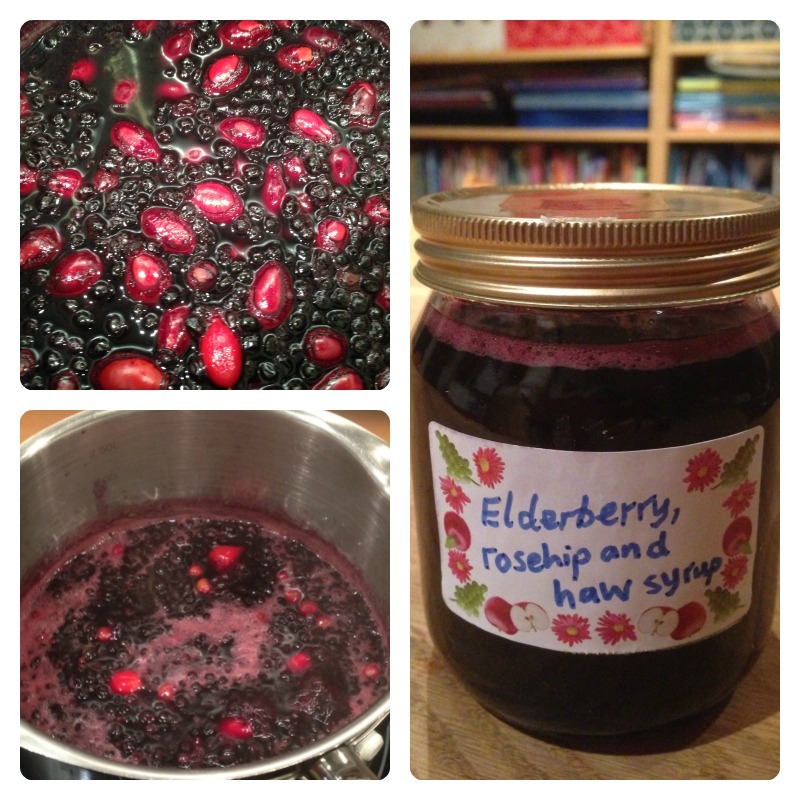 …and elderberries, rosehips and haws which I have finally made into syrup this evening. Tiddler was very proud of his acorn collection so I have to mention that too! 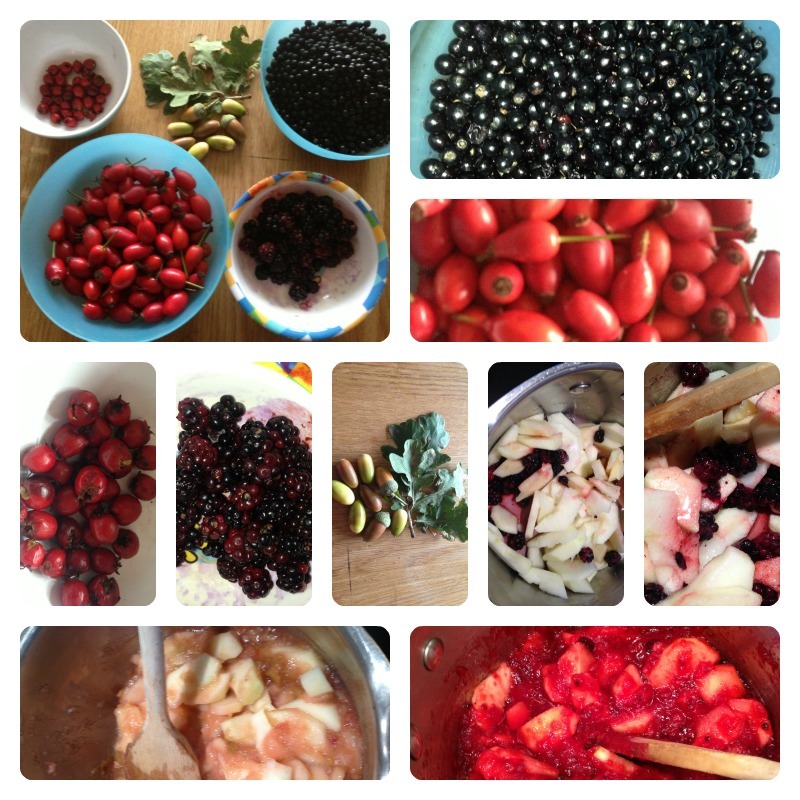 This entry was posted in Our family, Outings and tagged brambles, country kids, cousins, elderberries, haw berries, rosehips on October 19, 2013 by Hannah. Yesterday we went to a Thomas the Tank Engine day at the Eastleigh Lakeside Steam Railway. We set off early and arrived in time to eat our packed breakfast in the blazing sunshine while waiting for the tickets to go on sale. We had a good view of the miniature trains, including Thomas, Gordon and Henry, which kept the children entertained while we were waiting. Once inside we met up with my aunt and uncle and two cousins, one of whom is over from Australia with her two smallest ones, and it was lovely to see them all. 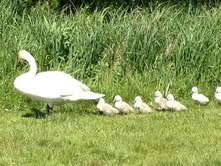 The children had a wonderful time – they went on three train rides, played in the playground, had a walk round the lake (where we saw a swan with her seven babies), saw a Punch and Judy show and a magic show, had lunch in the cafe, and later on an ice cream. Half way through the afternoon, we decided to decamp to the nearest pub so that the adults could have a proper catch up (as we usually only see each other once a year) and that was very successful too. 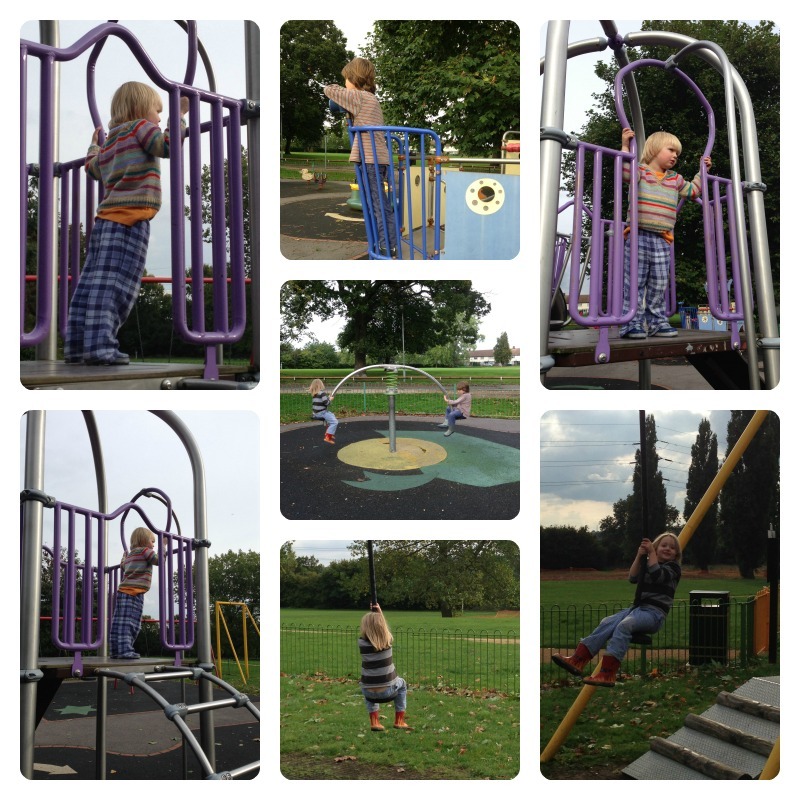 Luckily we found a pub with a nice beer garden, which had a bouncy castle and a playground so the children were happy. We set off home when we should really have been thinking about supper, so we stopped at a service station, where we met – completely by chance – another cousin who was returning from a family wedding with her three little ones, so the children had fun playing together. Today was quite a contrast as we had a day at home, and daddy had the day off work which was great… particularly as Rabbit was sick three times and very poorly all day. So she stayed home from Pre-school and lay on the sofa watching Cbeebies all day, the boys did some work (rather slowly as they were very tired) and Tiddler pottered around quite cheerfully, and helpfully had a four-hour nap in the middle of the day – we really did wear him out yesterday! So we managed a satisfying amount of washing, tidying, cleaning, cooking and garden chores – though of course not as much as I hoped, but maybe my list was a bit ambitious. I’m now studiously avoiding looking at it until tomorrow. 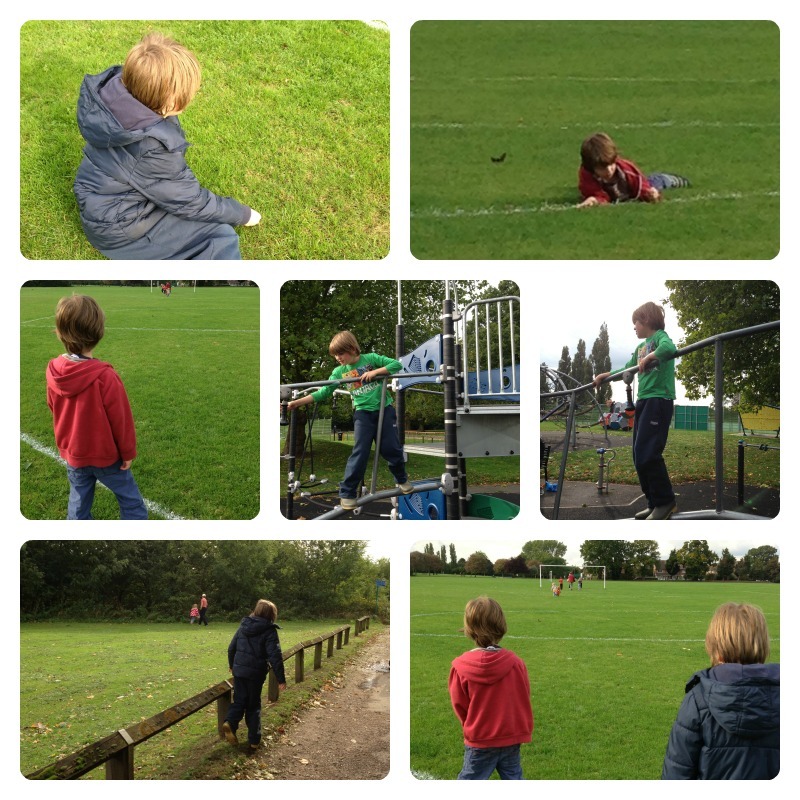 This entry was posted in Our family, Outings and tagged cousins, Eastleigh railway, outdoors on May 28, 2012 by Hannah.